You can learn a lot from a tooth. 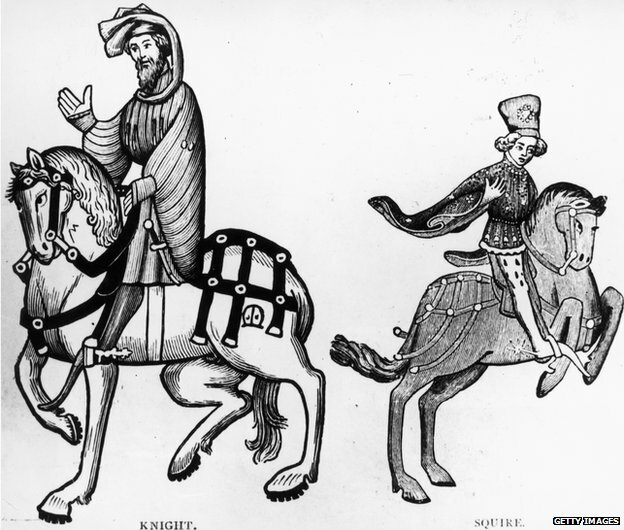 Molars taken from skeletons unearthed by work on a new London railway line are revealing secrets of the medieval Black Death — and of its victims. 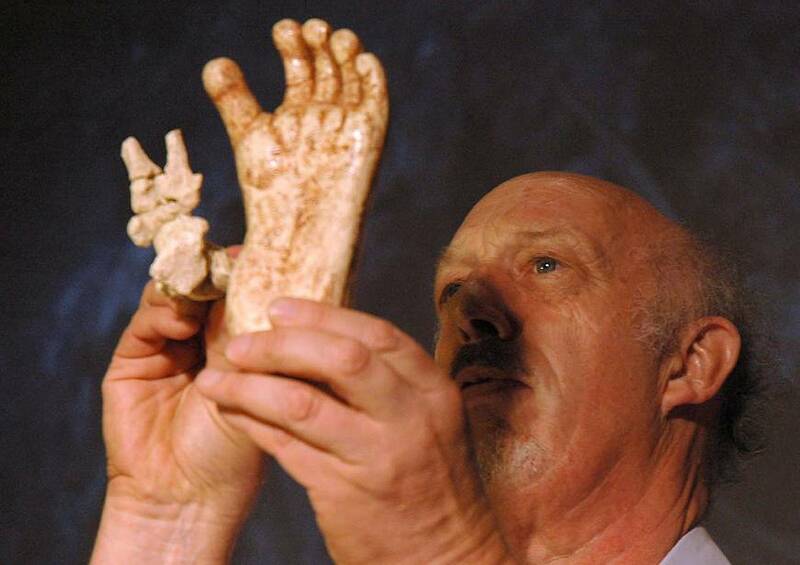 This week, Don Walker, an osteologist with the Museum of London, outlined the biography of one man whose ancient bones were found by construction workers under London’s Charterhouse Square: He was breast-fed as a baby, moved to London from another part of England, had bad tooth decay in childhood, grew up to work as a labourer, and died in early adulthood from the bubonic plague that ravaged Europe in the 14th century. The poor man’s life was nasty, brutish, and short, but his afterlife is long and illuminating. Records say thousands of Londoners perished and their corpses were dumped in a mass grave outside the City, but its exact location was a mystery. Archaeologists now believe it is under Charterhouse Square near the Barbican. AFTER: The site after the wall was destroyed. IT was a plan that sparked outrage. But despite pleas to save a 2,000-year-old Roman wall from destruction, developers have gone ahead and carted the relic off in a lorry. As previously reported, historians were angered when it emerged thatBargate Homes were considering breaking the wall down to make way for 14 homes at the site, in Southgate Street, Winchester. But the proposal has now become a reality. Colin Cook, of the Winchester Area Tourist Guides Association, witnessed the destruction. 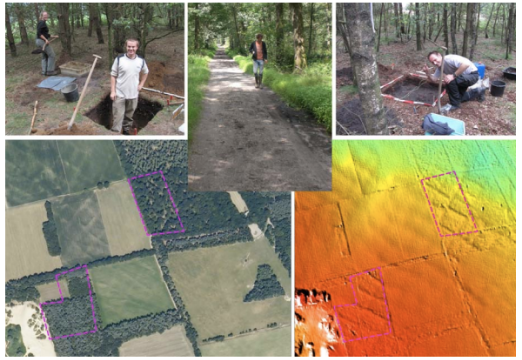 Dr. Stijn Arnoldussen, an archaeologist at the University of Groningen, the Netherlands, has unearthed prehistoric cultivated field sites constructed more than 3,100 years ago that were subsequently used for centuries. Dr. Arnoldussen’s research focuses on long-term development of cultural landscapes from the Late Neolithic onwards, with specific attention for the interplay of funerary and settlement domains within the wider cultural landscape, and additionally on Bronze Age settlements as foci for patterned deposition and the nature and dynamics of the Celtic field system of the later Bronze Age and Iron Age. Side-projects include pottery analysis (from the Neolithic up to the Roman Period), analyses of Bronze artefacts, computer applications in fieldwork and editorial work for the Journal for Archaeology in the Low Countries. A newfound stone carving reveals Roman Emperor Claudius dressed as an Egyptian pharaoh while wearing an elaborate crown. The hieroglyphs say Claudius is raising the pole of the cult chapel of Egyptian fertility god Min and suggests a ritual like this took place around the summertime. (Phys.org) —A team of researchers working in Hungary has proposed that a sun compass artifact found in a convent in 1948 might have been used in conjunction with crystals to allow Vikings to guide their boats even at night. In their paper published inProceedings of the Royal Society A: Mathematical, Physical & Engineering Sciences, the team describes theories they've developed that might explain how Viking sailors were able to so accurately sail to places such as Greenland. The trust set up to manage Hadrian’s Wall is to close in six months after funding dried up, leaving support for the World Heritage Site “uncertain”. 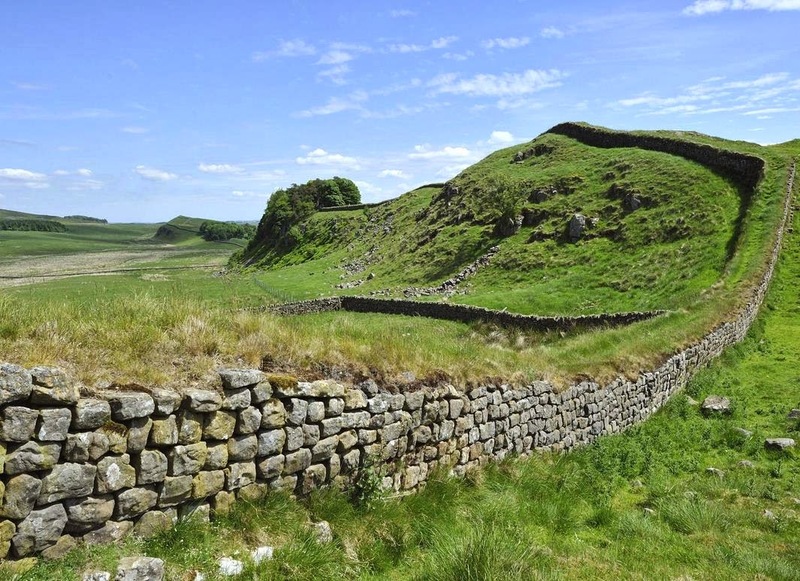 Hadrian’s Wall Trust revealed it is to close this week, with a series of organisations scrabbling to put funding in place to ensure one of Britain’s most famous monuments can be adequately maintained in the long term. 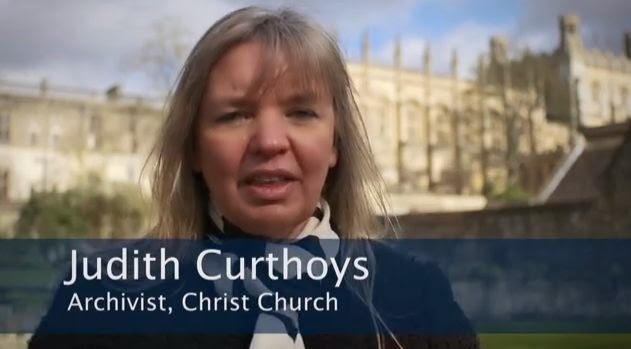 Linda Tuttiett, chief executive of the Trust, said: “We hope and pray resources can be found to keep the heritage site safe” after confirming that funding cuts had forced the trustees to close the seven-year-old organisation. 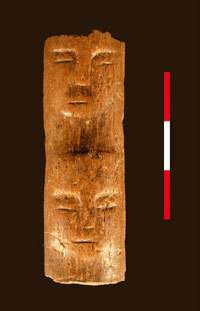 The Uunartoq disc was discovered in an 11th century convent in Greenland in 1948. It is thought to have been used as a compass by the Vikings as they traversed the North Atlantic Ocean from Norway to Greenland. The remains of the supposed compass — known as theUunartoq disc— were found in Greenland in 1948 in an 11th-century convent. Though some researchers originally argued it was simply a decorative object, other researchers have suggested the disc was an important navigational tool that theVikings would have used in their roughly 1,600-mile-long (2,500 kilometers) trek from Norway to Greenland. “We had over 300 different individuals – most skeletons, but some cremations. The idea was to go back through all those. We had some information about some of them but others we had nothing on. They were held in the basement of the town hall, where I keep my archaeology collection. They came primarily from two main Saxon cemeteries that were excavated – one in particular had over 200 graves. An archaeological team is unearthing the remains of a Roman fort and settlement in the hope of gaining a better understanding of everyday Roman civilian life. 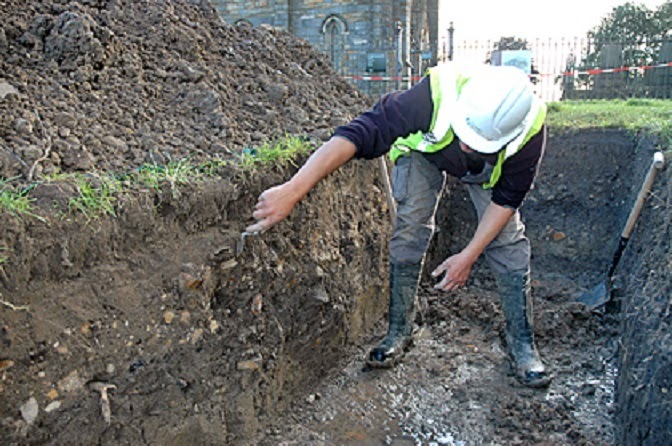 Oxford Archaeology (OA) and a team of volunteers are excavating an extramural settlement at Maryport Roman fort on the west coast of Cumbria. Built high on the cliffs overlooking Solway Firth, it is believed the fort was founded in the First Century AD when the Roman army initially entered the region. 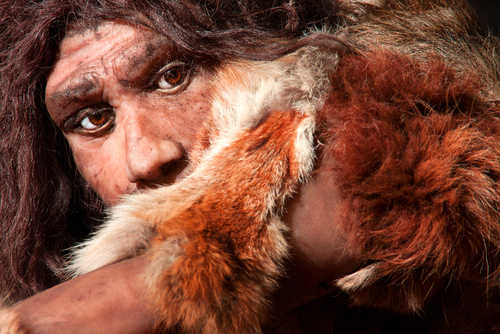 PARIS – A short, hairy “ape man” who tumbled into a pit in South Africa millions of years ago is back in the running as a candidate ancestor for humans, scientists saidearlier this month. A painstaking 13-year probe has “convincingly shown,” they said March 14, that the strange-looking creature named “Little Foot” lived some 3 million years ago — almost 1 million years earlier than calculated by rival teams. If so, it would make Little Foot — so named for the diminutive size of the bones — one of the oldest members of the Australopithecus hominid family ever found. When complete, the houses will showcase what life would have been like at the time that Stonehenge was built. The re-created huts are based on archaeological evidence unearthed at the nearby Durrington Walls. This 102-foot-long Roman barge from the first century A.D. was lifted in 2011 from the Rhône River in Arles, France. It was virtually intact after two millennia in the mud. Today, there's often a perception that Asian children are given a hard time by their parents. But a few hundred years ago northern Europe took a particularly harsh line, sending children away to live and work in someone else's home. Not surprisingly, the children didn't always like it. 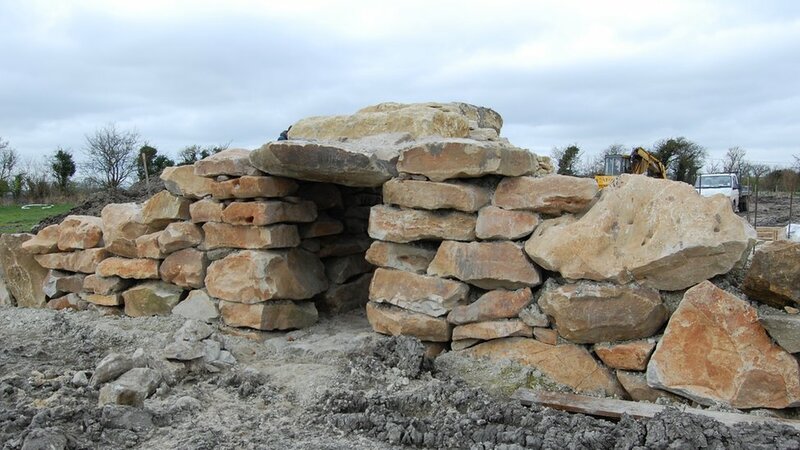 The first "Neolithic" long barrow to be built in the UK for 5,000 years, is attracting interest from all over the world. The burial chamber at All Cannings near Devizes in Wiltshire will contain niches housing urns of cremated ashes, and is set to be finished later this year. Developer Tim Daw, who owns the farmland on which it is being built, said he was "absolutely thrilled" with its progress. 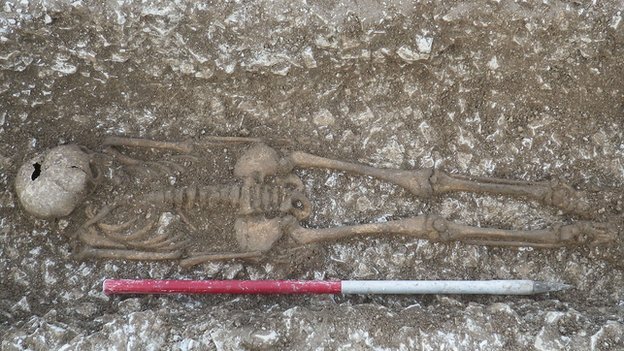 A skeleton of an Iron Age woman with her feet chopped off has been discovered in a field in Wiltshire. 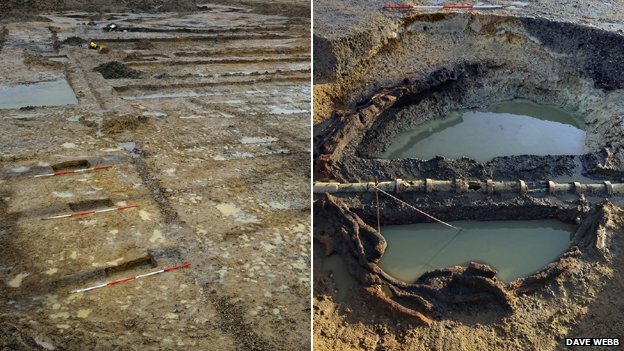 The remains were found along the A303, near West Knoyle, by archaeologists ahead of a new water main being laid. Wessex Water said the woman's feet were found "reburied alongside her" along with the carcasses of at least two sheep or goats "on her head". Peter Cox, from AC Archaeology, said: "We're unsure why - but it must have some link to beliefs at the time." 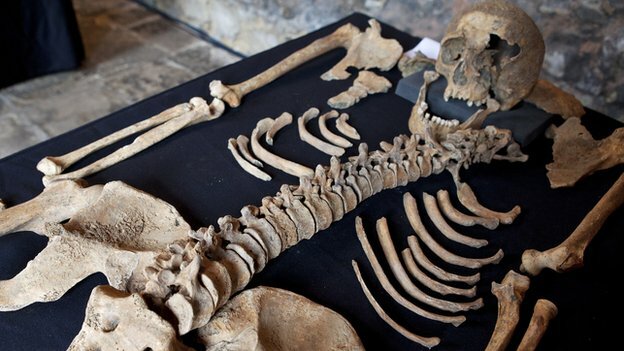 The female skeleton was found alongside the remains of a child aged about 10 and two males with sword wounds to their hips. A team of British archaeologists from the British Museum and Durham University have discovered what they report is the oldest known complete example in the world of a human with metastatic cancer in a 3,000 year-old skeleton unearthed in the Sudan. Their findings are reported in the academic journal PLOS ONE. The skeleton of the young adult male was found by Durham University PhD student Michaela Binder in a tomb in modern Sudan in 2013 and dates back to 1200 BC. 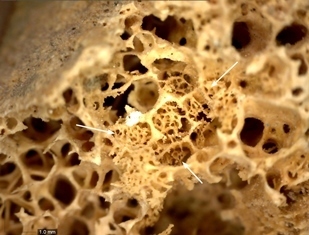 Analysis of the remains has revealed evidence that this person was afflicted with metastatic malignant soft-tissue carcinoma that had spread from its original location across large areas of the body, making it the oldest convincing complete example of metastatic cancer in the archaeological record. Only about 200 skeletons and mummified individuals from around the world have been reported with different primary and secondary malignancies. The findings are reported in the academic journal PLOS ONE today (17 March, 2014). The finding came from a skeleton of a young adult male found by a Durham University PhD student in a tomb in modern Sudan in 2013. Dating back to 1200 BCE, it was estimated to be between 25-35 years old when he died and was found at the archaeological site of Amara West in northern Sudan, situated on the Nile, 750 km downstream of the country’s modern capital, Khartoum. It was buried extended on his back, within a badly deteriorated painted wooden coffin, and provided with a glazed faience amulet as a grave good. Coins from the rules of Henry III and Edward I and II, minted in London between the 13th and 14th centuries, could have been the spoils of battle swiped from the pockets of the defeated English army at Bannockburn, say archaeologists investigating 17 acres of land around Cambuskenneth Abbey. Working at one of the few places singled out in contemporary accounts of the Battle of Bannockburn, metal detectorists, geophysicists, historians and poets have been exploring the Abbey where Robert the Bruce kept his army’s baggage before the battle. 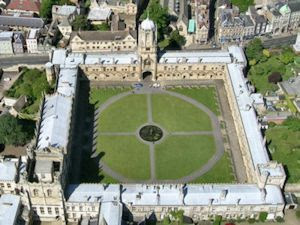 Founded by David I in 1140 the site was originally known as the Abbey of St Mary of Stirling. The Staffordshire Hoard is the largest hoard of Anglo-Saxon gold ever found. 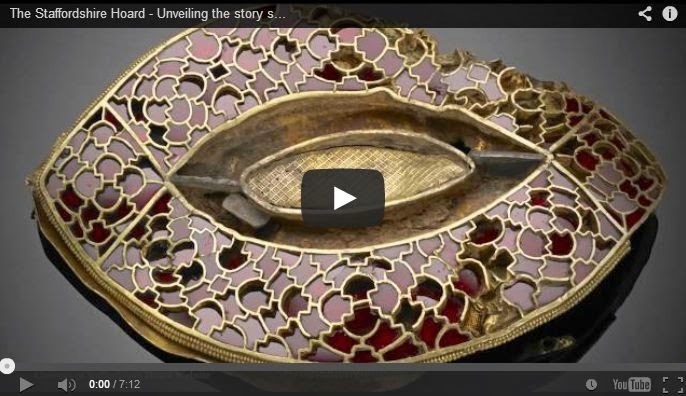 In this film we find out about the first stage of conservation work on the artefacts …and what secrets have been revealed. The rubble-strewn remains of a 1,600-year-old basilica, dedicated to St Neophytos, have been discovered under Lake Iznik in Turkey’s northwestern Bursa province. Though located only 20 metres from the shore, and at a depth of around 2 metres, the basilica’s existence was unknown until January, when aerial photographs of the area were taken as part of a project to record local historic monuments. A diving team has now investigated the submerged structure and, due to similarities with the Hagia Sophia church in Iznik, experts have dated it to the fourth or fifth centuries. They have suggested it was built on the spot where Roman soldiers martyred St Neophytos in AD303; occurrences of the saint’s name have been found nearby and Medieval engravings show the saint being killed on the edge of a lake. It is thought an earthquake in AD740 caused the basilica to collapse and sink under the lake. The future of the site now rests in the hands of Turkey’s Culture and Tourism Ministry, who can designate it a protected site or open it up to recreational divers. 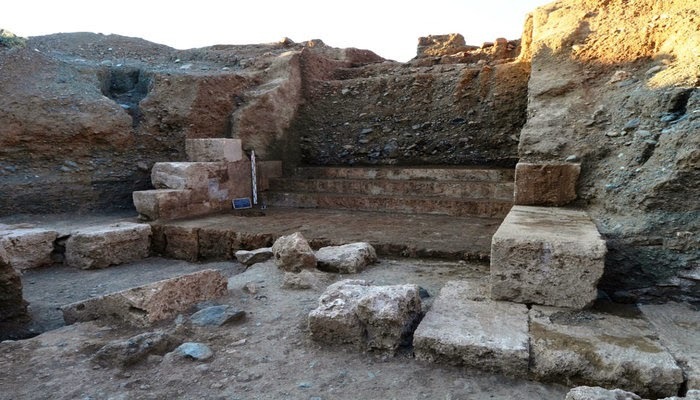 The Roman baths along the road from Mġarr to Gћajn Tuffieћa were unearthed by accident in 1929, but archaeologists and other experts are still discovering things at the site. So said the deputy leader of excavations, Heritage Malta’s David Caruana, who was speaking at a lecture organised by Din l-Art Ħelwa last week. The baths were discovered when workers were digging down to pass a conduit to enable the flow of water to water the fields. A certain Mr Rizzo, presumably their foreman, informed Sir Temi Zammit that, under some three feet of soil, they had discovered remains that they thought were archaeological. 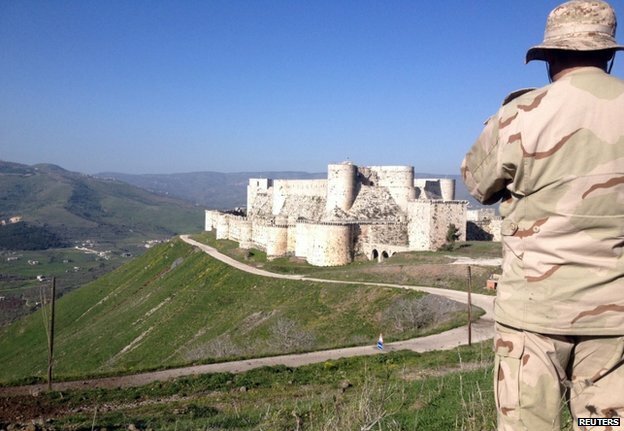 Archaeologists have unearthed an ancient “wand” carved with two realistic human faces in southern Syria, Live Science reported. The roughly 9,000-year-old artifact was discovered near a graveyard where the bodies of 30 people were buried without their heads, which were found in a nearby area. Win The Pyramids for iPad! We would like to offer you the exciting chance to win a free copy of the app The Pyramids from our friends at Touch Press. With this stunning and stimulating app, you can explore the incredible pyramids and tombs of ancient Egypt. Fly around the plateau where the pyramids and the Sphinx are located at Giza near Cairo. Enter and wander around the labyrinthine tombs and passageways. 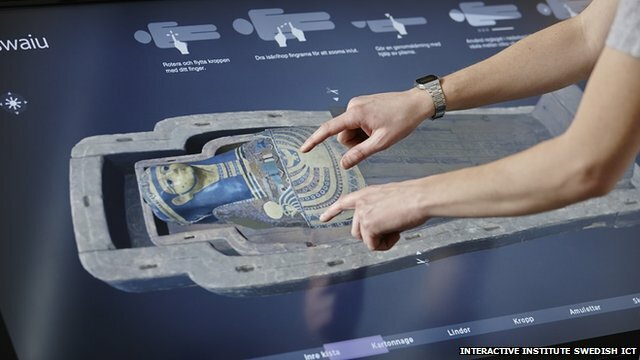 Examine stunning wall paintings in incredible detail, rotate royal statues and spin 3D objects. Everything has been painstakingly recreated from ultra high-resolution digital imagery captured on location in Egypt by Sandro Vannini, the world’s greatest photographer of archaeological sites and antiquities. The director of the 17th Ephorate of Prehistoric and Classical Antiquities Angeliki Kottaridi believes that the five tombs discovered in Vergina could belong to members of the Temenid dynast or even King Cassander himself. Mrs. Kottaridi made the bold revelation at the Thursday afternoon conference at the University of Thessaloniki. Cassander was one of Alexander the Great’s successors and husband to his sister, Thessaloniki, who established the Antipatrid dynasty. King Cassander became known for his hostility towards the memory of Alexander the Great and he is credited with changing the name of Therma to Thessaloniki. According to a recent international study, the volcano of the island Santorini, Greece, erupted in the 16th century BC and not earlier. The survey characterized a number of research studies that took place in the past and have indicated that Santorini’s volcano may have erupted a century earlier, as unreliable because the method based on tree-ring measurements that they used, could not provide them with accurate results. An international team of researchers led by Paolo Cherubini from the Swiss Federal Institute for Forest, Snow and Landscape Research (WSL) has demonstrated in the scientific journal Antiquity, that this method cannot provide reliable results. The scientists show that the14C dating of individual pieces of olive wood enveloped by volcanic ash is too unreliable for precise dating. Archaeologists made a stunning, if not stinky discovery during their excavations of I Vilhelm Werners square in Odense on Funen. The digs revealed numerous latrine barrels dating back to the 1300s and still filled with their intended content, proving – among other things – that human excrement still has a putrid odour even if it is centuries old. 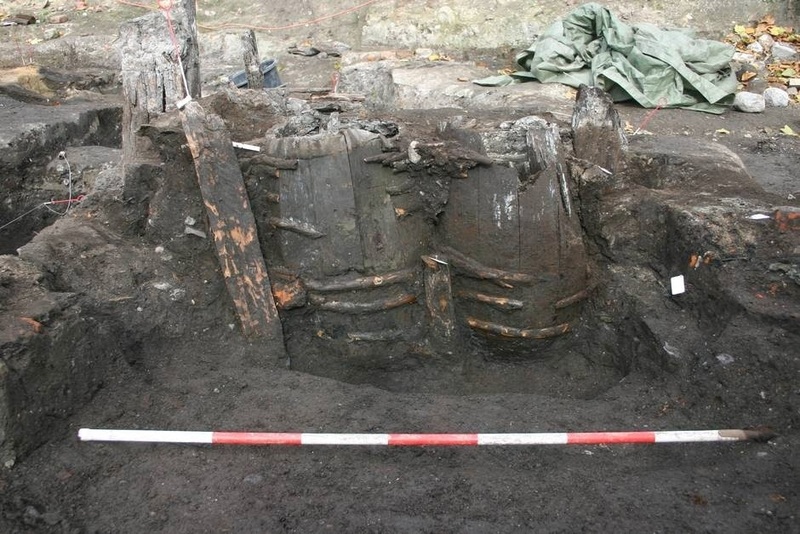 Many of the barrels, which were found during 2013, are in excellent condition and their contents can provide a unique insight into the dietary habits of people living some seven hundred years ago. A Roman silver drinking vessel that depicts two sets of male lovers is one of the most prized jewels in the British Museum, singled out by director Neil MacGregor for his critically acclaimed History of the World in 100 Objects. 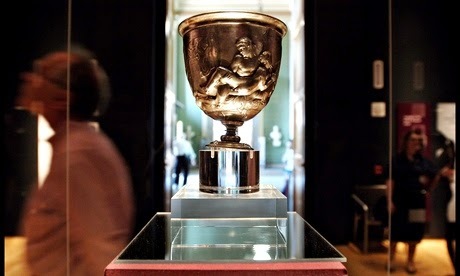 But on Wednesday, 15 years after the British Museum bought the Warren Cup for £1.8m, a highly respected German archaeologist suggested it could be a forgery. At a public debate staged by King's College London, Prof Luca Giuliani challenged the museum's view that it dates from the 1st century AD. 3D model of the Roman bridge of Segura, on the border between Spain and Portugal. Dscovering hidden arches, visualising the sloped outline characteristic of the medieval period, finding a Renaissance engraving on a Roman arch or detecting restorations: these are some of the results that have been obtained by researchers at the University of Vigo (Spain) in their study of more than 80 Roman and medieval bridges. The assessment was carried out with the help of a ground-penetrating radar, a laser scanner and mathematical models, technology that benefit conservation. 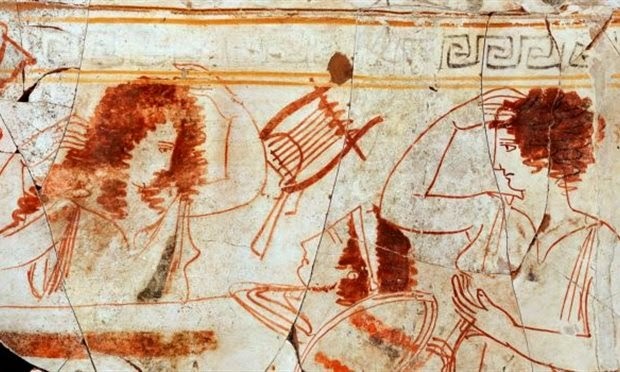 A Greek archaeologist says she has discovered 20 new burials near Macedonia's ancient capital in northern Greece, and some could tentatively be associated with the early Macedonian kings. Excavator Angeliki Kottaridi says two of the poorly preserved graves excavated in a cemetery between 2012-2013 "might perhaps be linked" with Alexander I and his son, Perdiccas II. 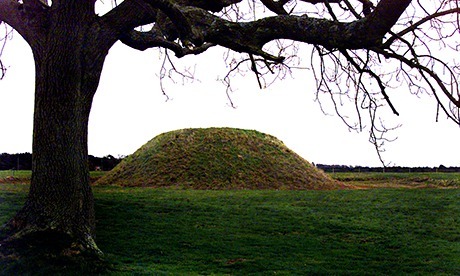 The home of the Anglo-Saxons who built the world famous burial mounds at Sutton Hoo in Suffolk, where a king was laid with golden treasure heaped around him, has been discovered on nearby farmland a few miles from the site. The finds from Rendlesham, which will go on display for the first time this week at the National Trust's Sutton Hoo visitor centre, include fragments of exquisite gold jewellery comparable in workmanship, if not in scale, to the Sutton Hoo treasures, pieces of gilt bronze horse harness, Saxon pennies and metal offcuts from a blacksmith's workshop. The 50-hectare (123.5-acre) site, four miles north-east of Sutton Hoo, was discovered by archaeologists after a local landowner, Sir Michael Bunbury, became concerned about nighthawks – treasure-hunting thieves who use metal detectors. 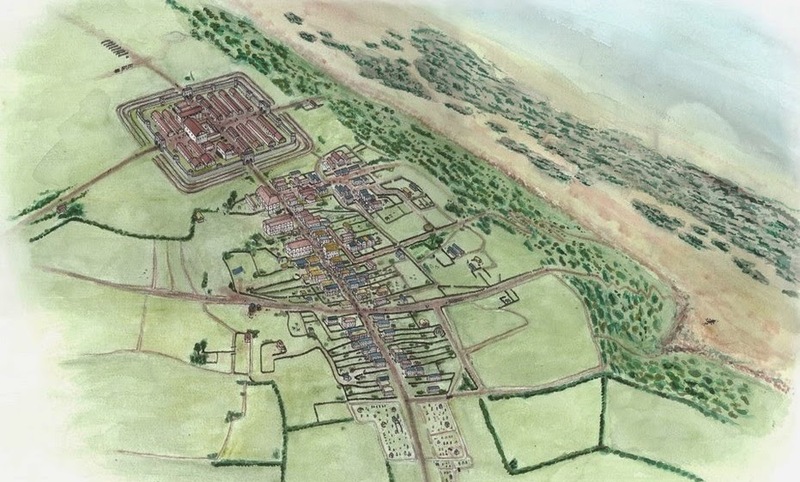 The archaeology unit of Suffolk county council has for five years been surveying his fields, using aerial photography, soil analysis, ground-penetrating radar and metal detecting, eventually pin pointing the 50 hectare Anglo Saxon site within 160 hectares of farmland. A lost settlement which housed the Anglo-Saxon royalty who created the famous Sutton Hoo burial mounds has been unearthed. Archaeologists say they have found conclusive evidence of the high-status settlement in fields near the village of Rendlesham, Suffolk. It is thought fragments of gold jewellery, Saxon pennies and weights associated with trade, are evidence of the "the king's country-seat of Rendlesham" mentioned by the Venerable Bede in the 8th century. 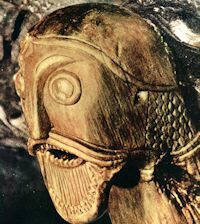 Professor Christopher Scull, of Cardiff University and University College London said: "The survey has identified a site of national and indeed international importance for the understanding of the Anglo-Saxon elite and their European connections. "The quality of some of the metalwork leaves no doubt that it was made for and used by the highest ranks of society.